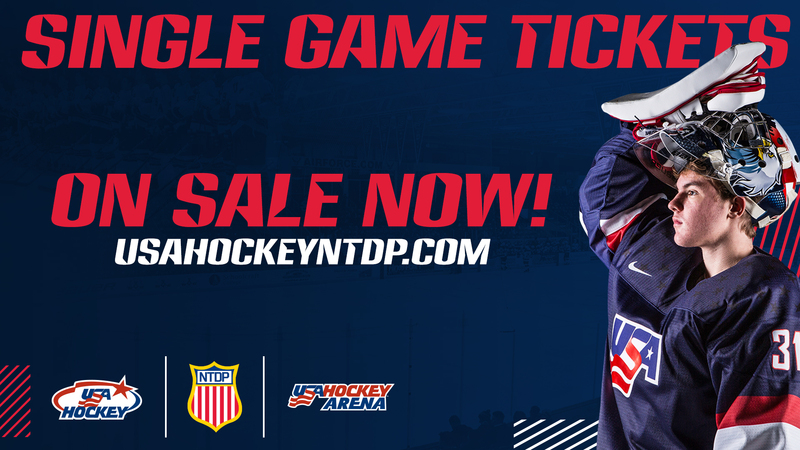 PLYMOUTH, Mich. - Single-game tickets for USA Hockey’s National Team Development Program 2018-19 home schedule are now on sale as the team enters its fourth season at USA Hockey Arena. Tickets are $12.00 for center ice seating, with executive reserved seating tickets priced at $10. Students and active/retired military receive a $2 discount with proper I.D. when tickets are purchased in-person at the USA Hockey Arena Box Office. The 2018-19 Team USA schedule is highlighted by a six-game collegiate schedule that includes Minnesota, Maine, Lake Superior State, Bowling Green, Holy Cross and Adrian College. Fans can purchase single-game tickets through the USA Hockey Arena Box Office from 9:00 a.m. to 5 p.m. on weekdays as well as 11 a.m. through the end of event on game days. 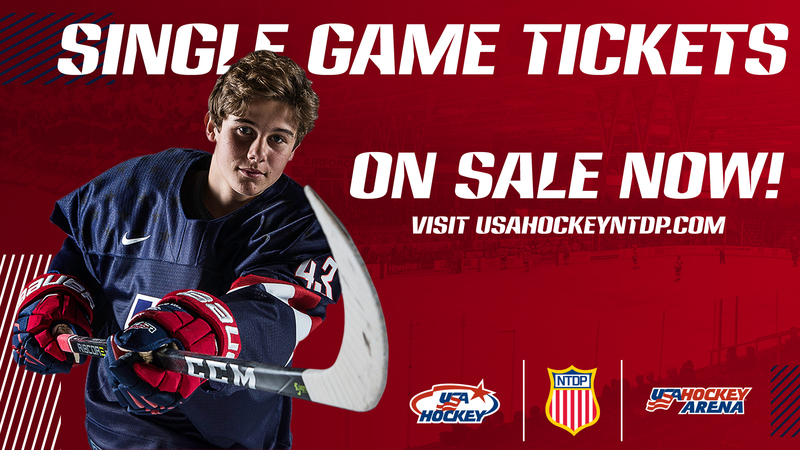 Single-game tickets are also available by calling the box office at (734) 453-8400 or by visiting USAHockeyNTDP.com/Tix. Team USA will face six college opponents at USA Hockey Arena in 2018-19, including Minnesota, Maine, Lake Superior State, Bowling Green, Holy Cross and Adrian College and fans can take advantage of a special college series package ticket option for only $60. As a bonus, fans who purchase the College Series pack will receive tickets to one NTDP home game of their choice in the months of January or February. Team USA is also still offering flexible season membership and flex packs options on its entire 36-game schedule. More information about the College Series is available by visiting USAHockeyNTDP.com/CollegeSeries and season membership and flex pack options can be viewed at USAHockeyNTDP.com/SeasonTix. A promotional schedule for the 2018-19 season will be released at a later date. Team USA opens the 2018-19 home schedule on Friday, Oct. 5 at 7 p.m. when the U.S. National Under-17 Team faces the United States Hockey League’s Madison Capitols.